In the summer, we’re all looking for ways to keep our homes and yards more comfortable and try to save money on air conditioning and water bills. Smart landscaping choices can help. As you may know, dark colors absorb heat while light colors reflect them. So if you have an asphalt driveway, you may want to consider replacing it with gravel. As for your landscape, rock will absorb more heat than grass, but that doesn’t mean you shouldn’t use rock. Grass requires a lot of water, which is in short supply in this part of the world. The key to using landscape rock wisely is to add desert-adapted trees and other plants to help shade the rock and your house so less heat is absorbed. In fact, watering a desert-adapted tree too frequently can be a problem because these trees fail to establish deep roots if the water is too easy to come by. One big windstorm can pull them up roots and all. We suggest starting your landscape with a light, warm rock such as cinnamon brown. MDI Rock carries this product in various shapes and sizes, from large boulders to small, screened stones. Then add vegetation. You’ll find many good options for low-water-use trees at local nurseries. Popular choices are various varieties of acacias, mesquites, and palo verdes. You can find types that grow quite quickly, so you don’t have to wait too long to enjoy some shade. Desert-adapted shrubs, such as red bird of paradise, Texas sage, and brittlebush, can also add interest to your landscape and help keep the ground cool. Or why not try a pomegranate bush? They attract hummingbirds and provide you with fruit to eat! 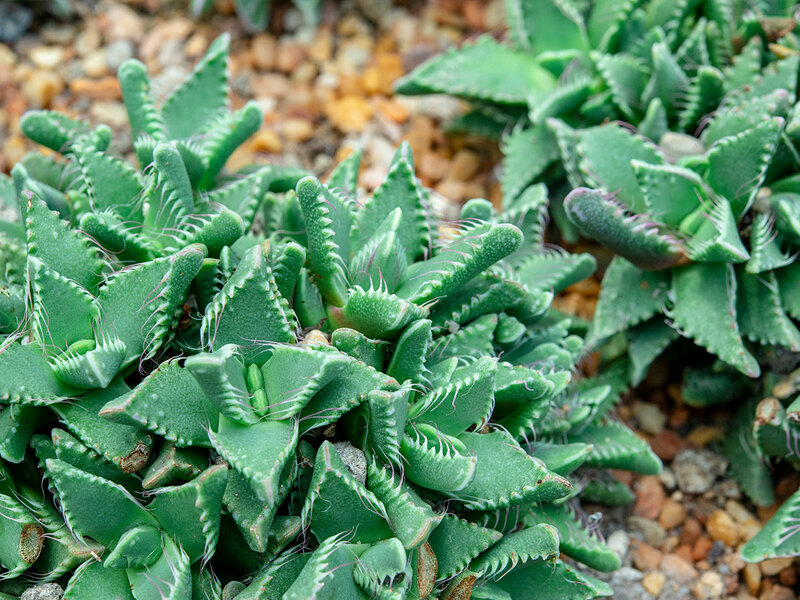 Add even more color and cooling with succulents, such as agaves, and low-water-use ornamental grasses. For some great desert landscaping ideas, along with details on water use for various plants, check out the landscape and garden section of the Arizona Municipal Water Users Association website. At MDI Rock, we supply a wide range of products for all sorts of uses at competitive prices. In addition to our many choices in decorative groundcovers, we provide rip rap, flagstone, topsoil, sand, gravel, and a huge selection of boulders.